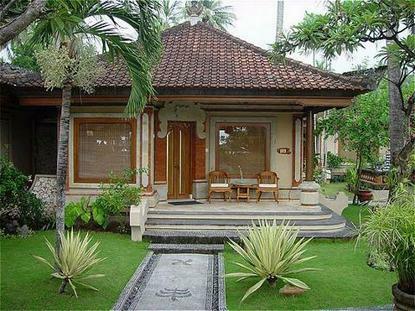 Puri Bagus Candidasa situated near the Candidasa temple towards the beautiful coast, Puri Bagus Candidasa is built in traditional Balinese style with western comfort. The 47 well-appointed villas offer a variety of beautiful views. The surrounding landscape, gorgeous spa building and beachfront relaxing Gazebos are arranged in a romantic style inspiring your imagination in leisure time. Spoil your appetite with delicious cuisine and refreshments in our open-air restaurant and pool bar with a spectacular view of the crystal clear blue water of the Indian Ocean. The three-meter deep swimming pool is dedicated for those who are eager to join our diving course. Recreational activities, professional snorkeling and scuba diving facilities are available on the premise.